Deck The Halls brings you a touch of the holiday spirit with its joyful Christmas themed feature. Symbols of an old fashioned festive season such as a tree bedecked with presents, stockings hung by the chimney, a delicious roast turkey and of course jolly old Saint Nick himself are the cheery slots symbols where you can spin your way into Christmas cheer and fun. Deck the Halls Slots features 5 reels, and 30 winning paylines. The game opens with a lovely video introduction for you to watch before starting. You can even test out Deck the Halls in free practice mode to get warmed up. Listen to the jolly tune of The Twelve Days of Christmas in the background as you play to maximize the Christmas cheer. This Microgaming classic has stacked symbols and a massive free spins feature, it’s possible to win up to 2,400,000 coins on a single bet! The wild in this game is the Deck The Halls symbol, which can be used to substitute for other symbols for the purpose of completing all winning combination, and in fact doubles the payout of any of those combinations. It can constitute a winning combination in and of itself; in fact, five Deck The Halls, appearing on an enabled payline, yields a jackpot of 4000 coins. The scatter symbol in this game is the Bells symbol. It can be scattered anywhere on the five reels to complete a winning scatter combination. 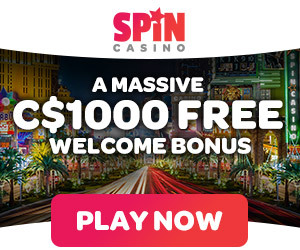 When three or more of these scatters appear anywhere on the reels, it immediately activates the Free Spins Bonus game, which brings ten free spins, during which time all the wins are doubled. Also, five scatters anywhere on the five reels affords a multiplier win, where the total coins bet are multiplied by 100. The maximum wager you can make on this game is 300 coins, which is affected by clicking the “Bet Max” button. There are only three increments of coin sizes, from .01 to .05. The number of coins bet and the number of paylines enabled can be easily adjusted and controlled at the very bottom of the interface. The reel symbols are what really give this game a distinctive touch. They are all bright and colorful Christmas favorites, including a Christmas tree, reindeer, a warm fire, gifts, ornaments, a delicious looking turkey dinner, and more! The generous Santa Claus icon will bring you tidings of great joy with stacks this Christmas if you fill a reel. -/+: Change your base coin size. Lines: Adjust the number of active paylines. Bet Max: Play with 30 lines, 10 coins per line. You can start a game of Deck the Halls with the available controls. Push the – and + buttons underneath the coin to adjust your base denomination. Click “Coins” to change the number of coins on each line. Use “Lines” to change the number of active paylines. Hit “Spin” to start, or press “Bet Max” to play with the highest possible bet of 300 coins. With each spin, festive symbols like Reindeer, Ornaments, and Stockings will cascade down the reels. Santa, the most valuable symbol of all, is stacked. This makes it easier for him to appear in multiple winning combinations. The Deck the Halls logo is wild and will boost any win with a 2x multiplier! You can also activate the Deck the Halls free spins feature. Just get 3 or more scattered Bells to start. The round comes with 10 free spins with all wins doubled. In addition to the standard stacked Santas, the Wild Logos will also be stacked! Wild wins come with even higher multipliers of up to 4x. The jackpot is 4000 coins and to win this you have to line up 5 Deck the Halls symbols. Playing as many paylines possible will increase your winnings in the free spins bonus rounds. If you bet the maximum coin value of $0.05 and the full 10 coins per payline, you are eligible to win the $2000 maximum money value jackpot. If you’re on a low budget and still want to play Deck the Halls, you can still win a jackpot of $40 by betting just $0.01.